It took five years, two launch vehicles and more than a half-billion dollars, but NASA scientists have at last attained their goal of putting a satellite in orbit that will help track carbon dioxide in the atmosphere, oceans and forests. 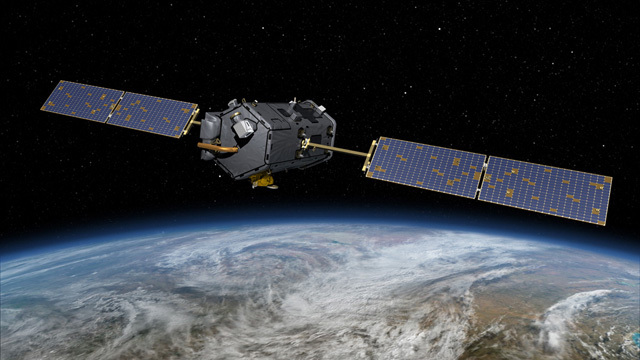 On the first attempt five years ago, the first Orbiting Carbon Observatory never made it into orbit. A piece of the nose cone designed to protect the satellite during launch never separated. Burdened with the extra weight, the satellite crashed into the ocean somewhere near Antarctica. Tuesday morning, NASA tried another launch from Vandenberg Air Force Base on California's Central Coast. 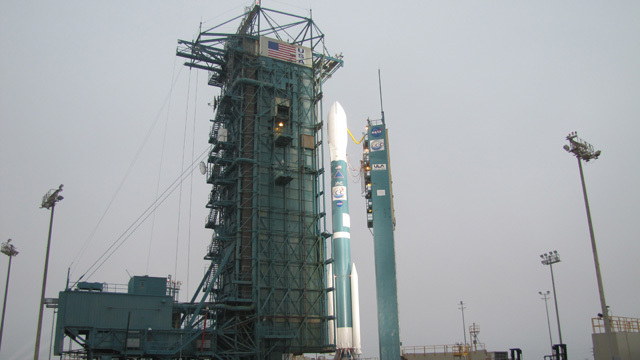 This one, dubbed OCO-2, is riding a different launch vehicle and has a few tricks that the original OCO lacked. But with less than a minute to go, the scheduled 2:56 a.m. launch was scrubbed by a disruption in the water supply to the launch pad. NASA and contractor United Launch Alliance made another attempt on Wednesday morning that was successful. "Initial telemetry shows the spacecraft is in excellent condition," NASA said in a post-launch release. They had only a 30-second launch window each day, in order to place the satellite exactly where it needs to be in orbit. Like the original, OCO-2 is designed to circle the Earth from pole to pole, mapping CO2 behavior on a grid similar to the globe's lines of longitude. CO2 molecules absorb light according to their own unique pattern, so onboard instruments will break down reflected sunlight into spectral colors to measure atmospheric carbon with unprecedented precision. Beyond that, the $465 million satellite is designed to track the way CO2 is absorbed by earthbound carbon sinks such as plant life and how it's released by man-made and natural sources. Scientists say this will yield an accurate mosaic of the planet's "breathing," which will allow better forecasts of the buildup of greenhouse gases that contribute to global warming and climate disruption. "The science is absolutely important," said Mike Freilich, from a spot overlooking the launch pad on Monday. Freilich heads the Earth Science Division at NASA. "Understanding the naturally distributed sources and sinks of carbon — what the processes are in the ocean, what the processes are on land, is critical for us to be able to understand how the Earth will be able to evolve going in to the future with the 36 gigatons of carbon per year that we put in." Then he added, "I think it’s a testament to the percieved importance of this mission that we got a second chance." OCO-2 will even be able to detect the tiny amount of heat and light emitted by plants during photosynthesis, which mission scientists say is another useful measure of carbon dioxide uptake. It could lead to much improved forecasts for crop yields, they say. It's amazing what you can see from 438 miles up.